The Windy City is in the midst of a historic mayoral election cycle, regardless of the outcome. No matter the candidate that emerges victorious, Chicagoans will be witness to its first African-American woman in the position. 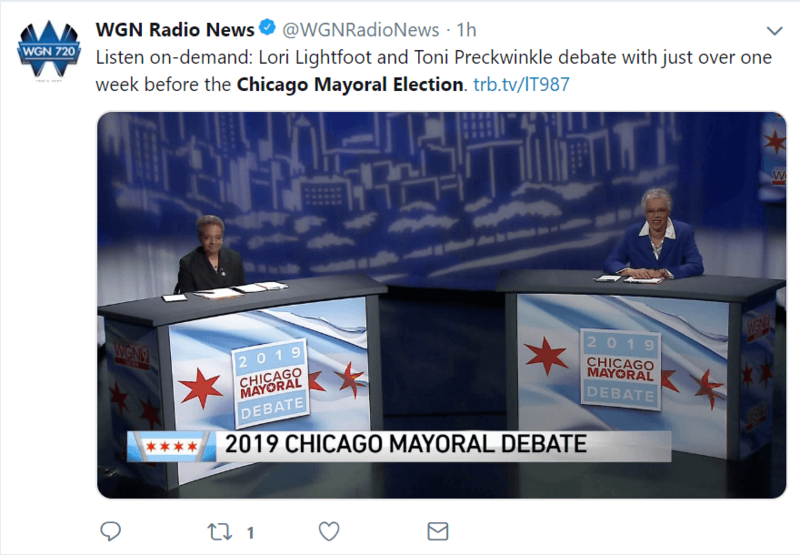 Lori Lightfoot currently leads in the polls over Tony Preckwinkle by a comfortable margin of 53% to 17%, according to the results of a WTTW/Crain’s Temkin/Harris Poll, released in late March. 29% of potential voters remain undecided, according to an article from the public access channel website covering the election. The issues defining Chicago politics are, as always, complicated. Lightfoot leads in every subset of voters, but she’s particularly popular with those who are white and college educated, 62 percent of whom say they’ll vote for her versus 11 percent solidly behind Preckwinkle. Aside from race, you’ll find other familiar topics that the voters consider important. Retirement plans for municipal workers and CPS teachers, along with the corruption of various local politicians are two issues in particular. The city is emerging from its winter slumber, the sun is back out and for the first time in many months Chicagoans are beginning to actually look up again. You may see some buildings on your own street that you forgot existed, but what you probably didn’t forget existed was Lollapalooza. The lineup has been released, and the giant banners advertising the “fun in the sun” week in downtown Chicago. 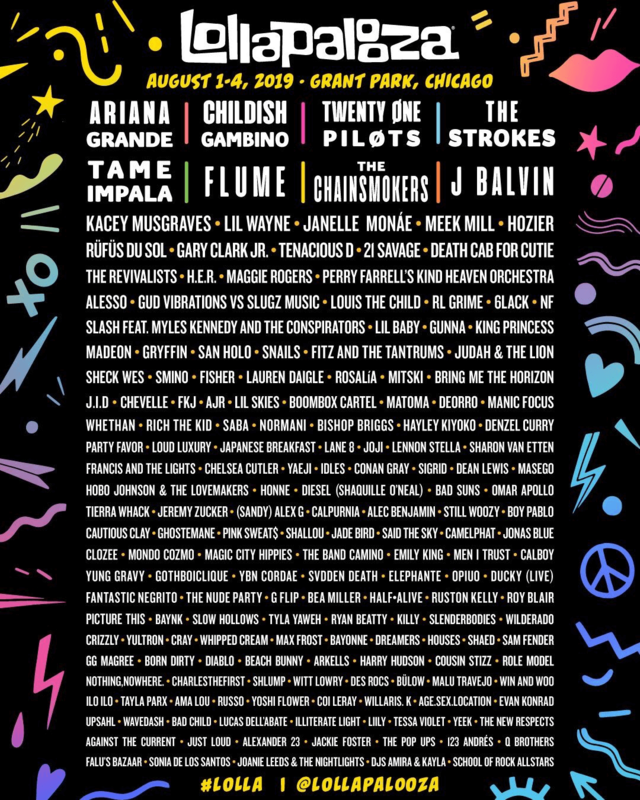 After an aggravating lack of female headliners at Lollapalooza in 2018, the Chicago mega-festival has placed Ariana Grande at the top of the bill, according to an article from the Journal Sentinel online. Grande is certainly a lot of the rage right now. After releasing one of the most popular songs and music videos of all time with “Thank You Next,” Grande had a brief fling with Saturday Night Live’s Pete Davidson. This has been well documented on social media, in certain ways that we won’t cover on this blog. 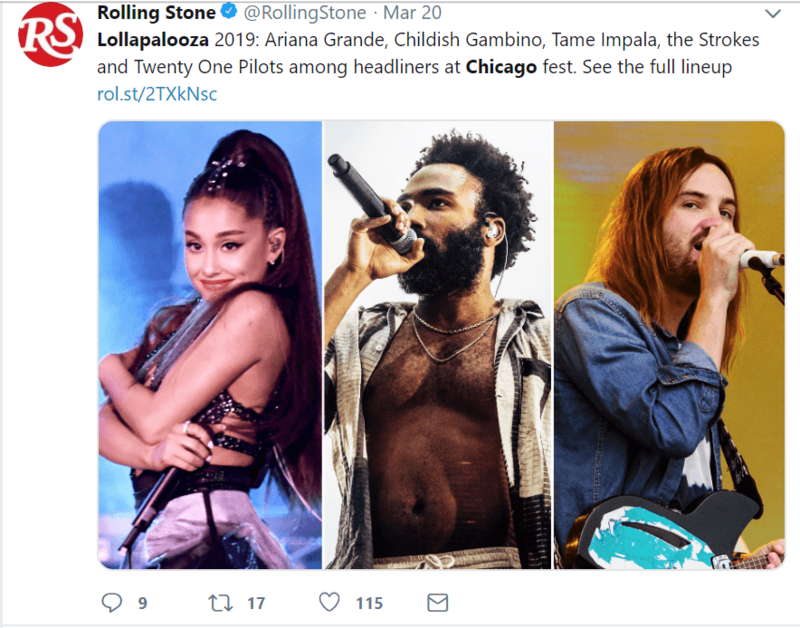 “#Lolla” definitely isn’t the only music festival based in Chicago, but it is the most famous, and the one that might make you feel the oldest. It seems to me like the kids being advertised on those billboards look younger every year, and the idea of standing around in the heat during the summer is exhausting. 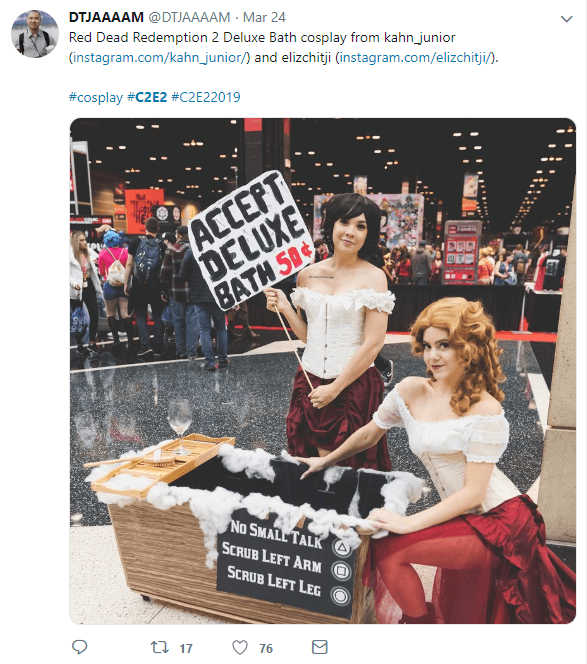 Chicago held its 10th annual Comic & Entertainment Expo at McCormick Place this month, and it was truly an event for the record books. 85,000 attendees were in attendance to celebrate books, comics, movies, video games and more. 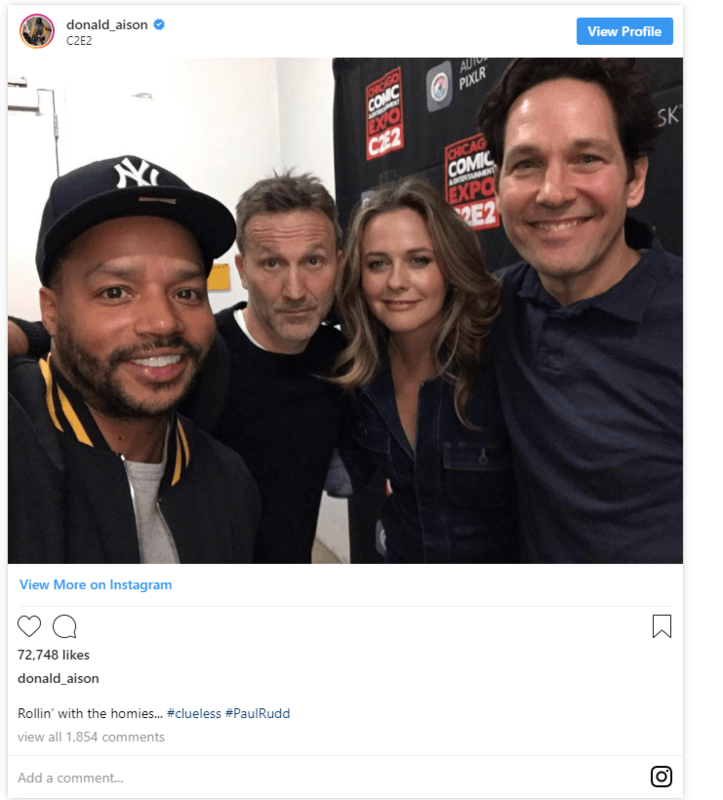 Notable events included a reunion of the cast from the movie Clueless, a large collection of Cosplay enthusiasts, and a real-life thief. Stephen Bowles, 51, of Remington, Indiana, was charged with three felony counts of theft for stealing over $9,000 in comics from three vendors on Saturday, according to Chicago police and the Cook County state’s attorney’s office. Bowles was observed physically reaching into different booths to steal merch, by both bystanders and cameras, according to an article from ABC Chicago. Over the last few seasons, the NFL has rolled out the defending Super Bowl champion to open up the season with a home game, on primetime television. In 2019, however, for the league’s 100th anniversary season, things will look a little bit different, and very much Chicago. Instead of the incumbent champion Patriots hosting a game on Thursday night, it will be the Bears and Packers (as god intended) kicking off the season on Thursday, Sept. 5 on NBC. Rumors of such a game have been bouncing around the media from the league office for months, but it is now finally official — the Bears will host the Green Bay Packers in Week 1 to begin the historic season. If history is any indication, it will be a doozy. The matchup between the two history laden franchises will be the 199th meeting in their long-standing NFC North rivalry. The early gambling lines out of Las Vegas have the Bears favored (8-5) to win the division, with the Packers (2-1) and Vikings (2-1) right behind them. FanDuel Sportsbook in New Jersey set the opening line for this specific game at Bears -4. 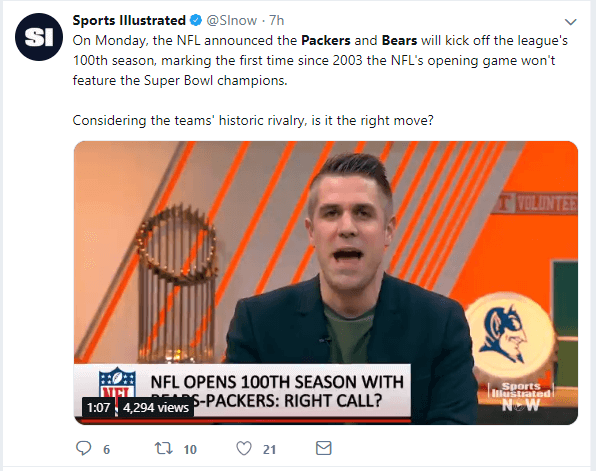 We’re sure that Aaron Rogers will have something to say about this, as all Bears fans are aware of his history of historically heroic play against the Chicago club. It’s nice timing for Green Bay as well, with the Packers rebooting their franchise over the last two years and now seemingly poised to take advantage of the final years of the aforementioned Rodgers’ career by adding Matt LaFleur as head coach. Multiple noteworthy additions on the defensive roster in addition to a pair of first-round picks have the Green Bay faithful prepped for a return to glory. Social Media certainly is aware of this matchup, and already emotionally preparing for the magnitude of the moment.